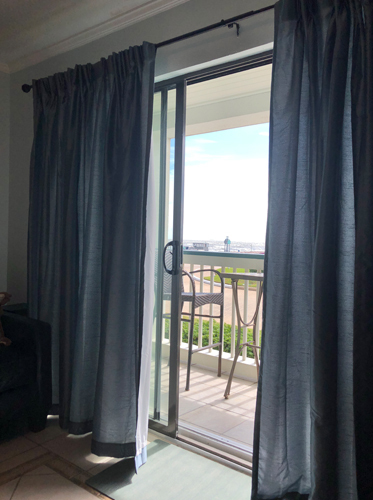 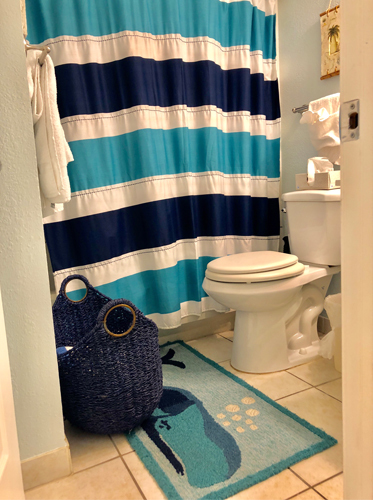 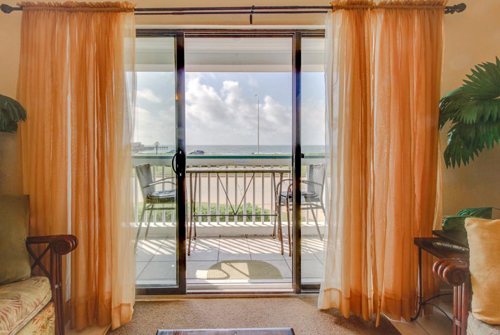 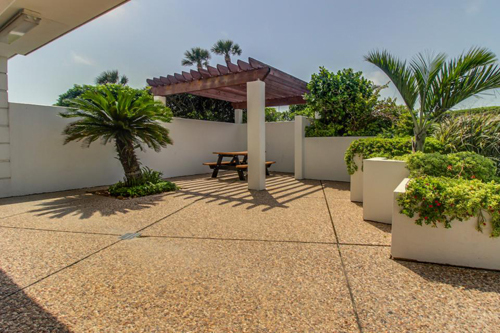 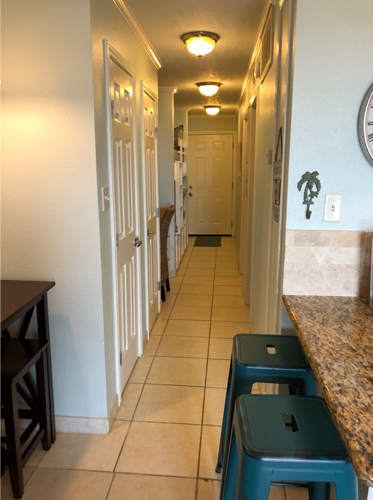 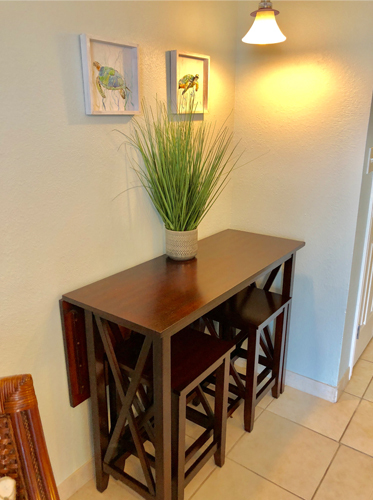 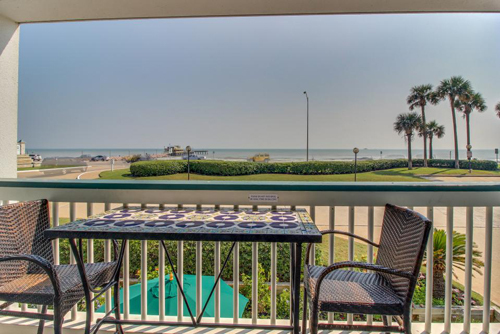 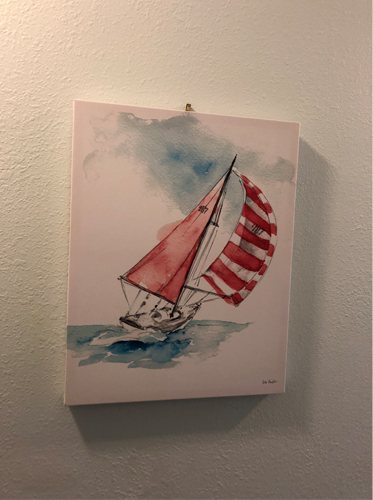 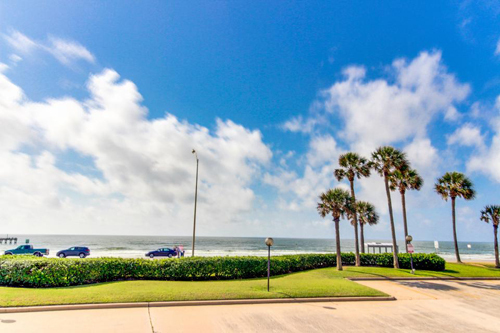 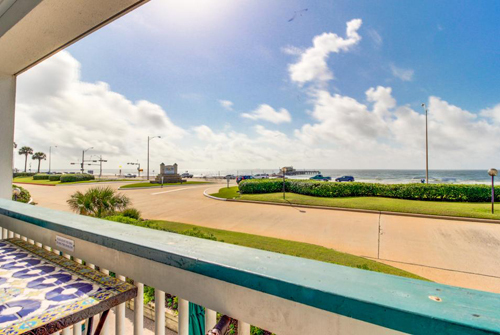 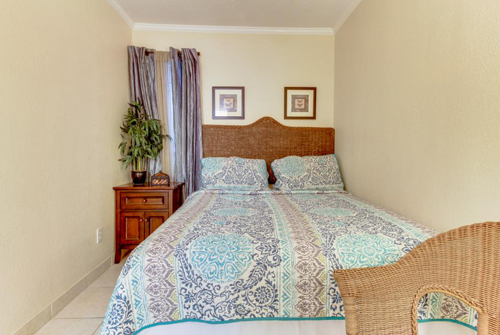 This beautifully appointed condo is located on the front of the condo complex, “Casa Del Mar” facing the sea and with great views of the 61st Street fishing pier. 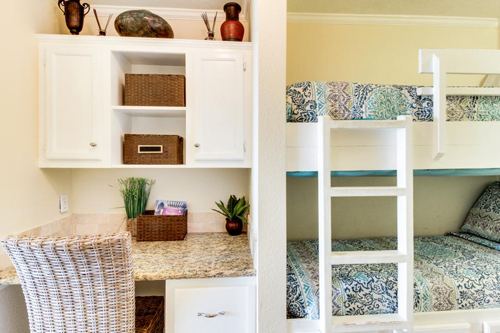 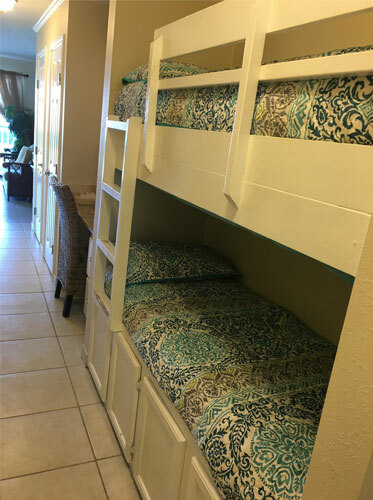 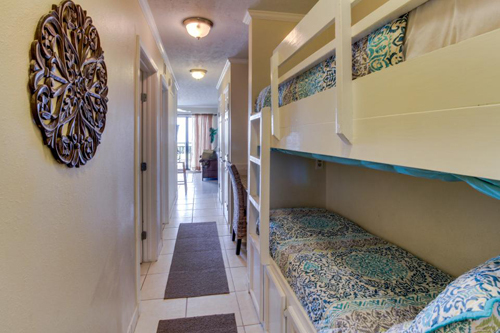 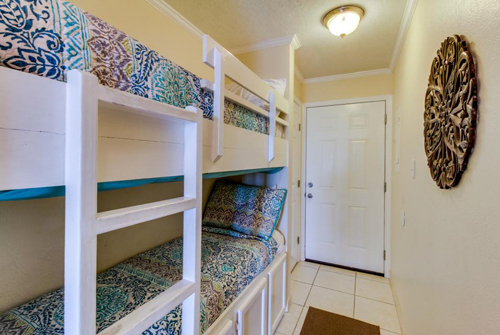 This great cabana sleeps 6 with s queen size bed in the bedroom and queen size sleeper sofa in the living room, along with 2 oversized bunk beds for the little ones. 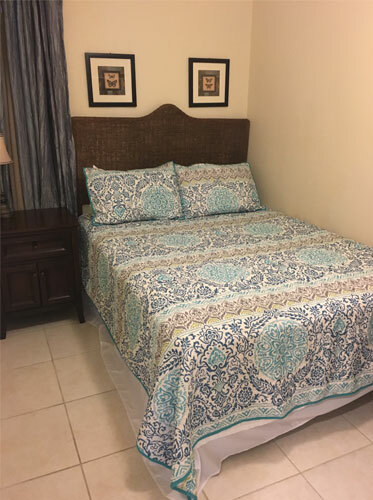 Whether it is a weekend getaway with the family or just some much needed adult time, you’re sure to find a peace of mind here away from the city chaos. 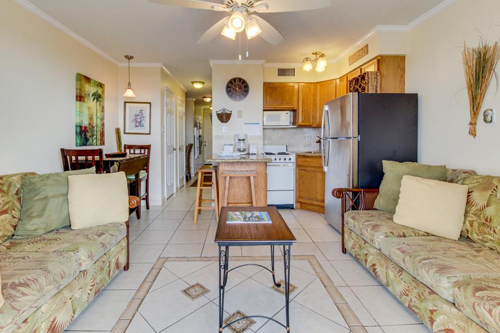 The central living area features cool tile floors, central air conditioning, and plush sofa and rattan chairs. 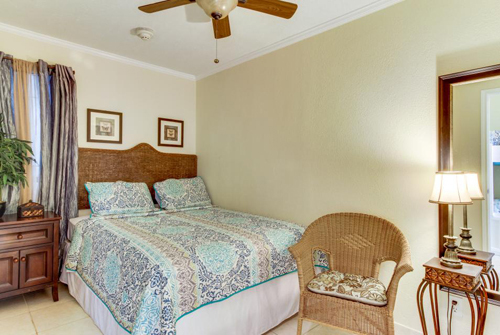 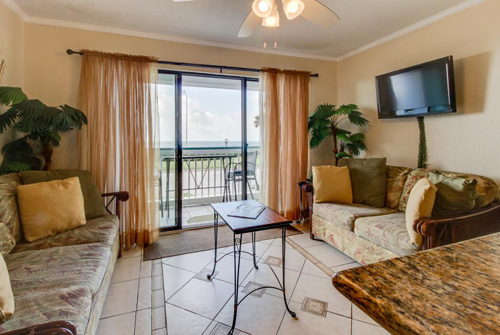 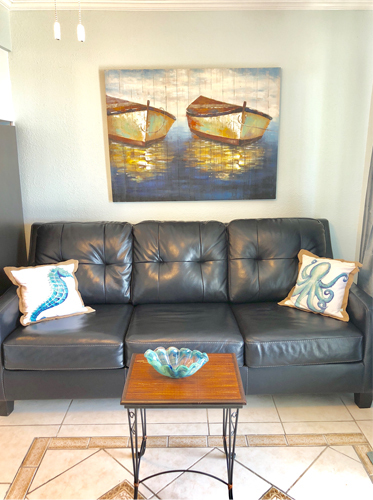 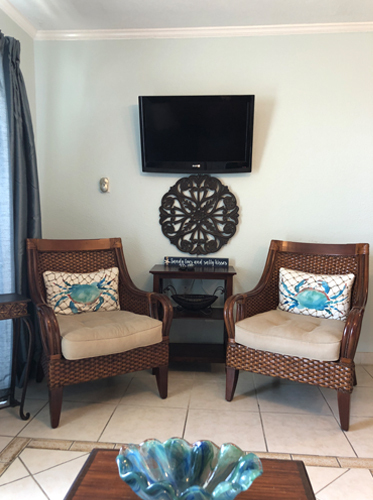 A large flat screen TV to browse the wireless Internet on quiet evenings in, or open the glass doors to reveal a private balcony with sweeping views of the Gulf of Mexico. 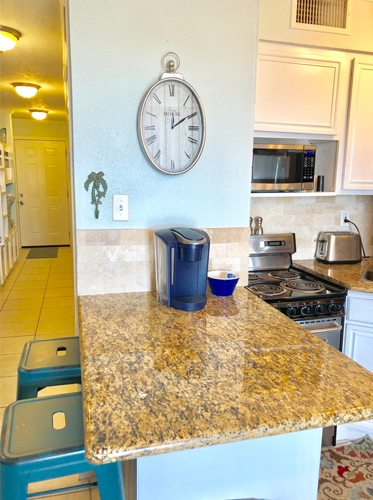 The kitchen, while snug, features beautiful granite countertops and every appliance you’ll need to cook breakfast, lunch, or dinner with your family. 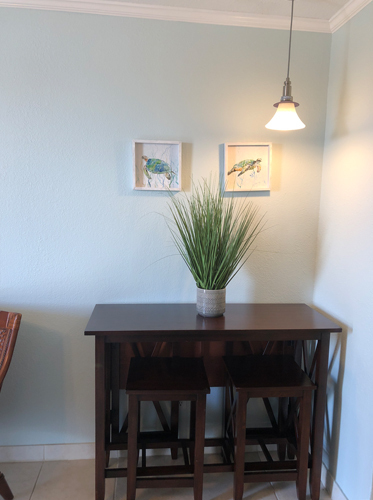 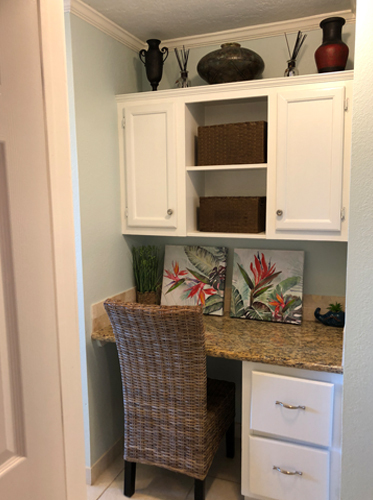 There are two bar stools for grabbing a quick bite, as well as an intimate dining table with two additional seats. 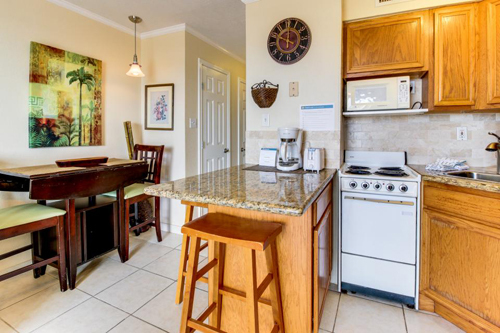 Don’t feel like cooking, not a problem. 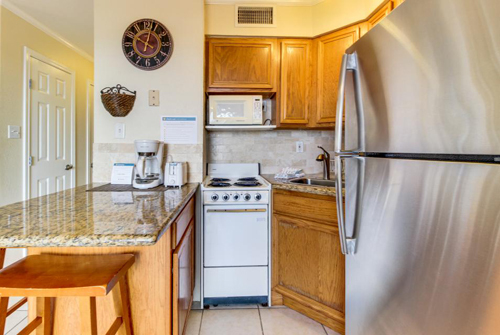 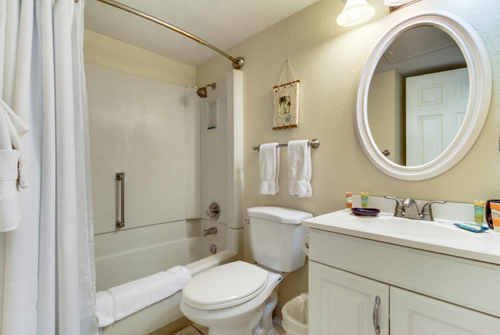 Within walking distance you have restaurants with various cuisines, attractions and shopping areas. 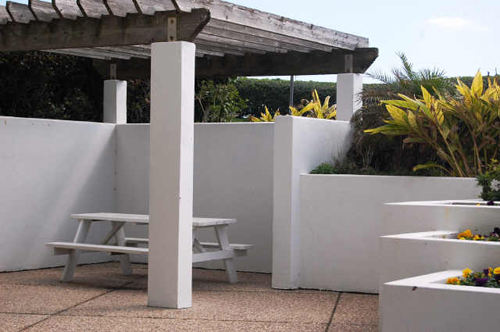 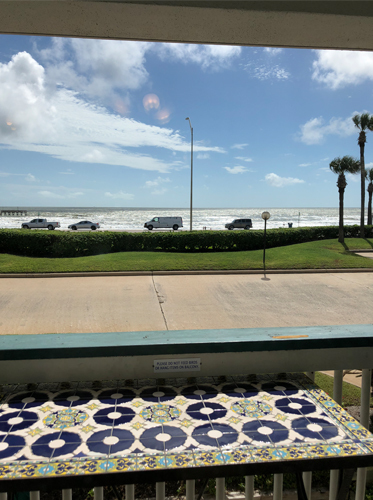 Some of those great locations include Tortuga Mexican Kitchen, Gino’s Italian, Cajun Greek, Yamato Japanese, Rainforest Café, Bubba Gump Shrimp Co, Salt grass Steak House, Landry’s Seafood House and Kitty’s seaside café. 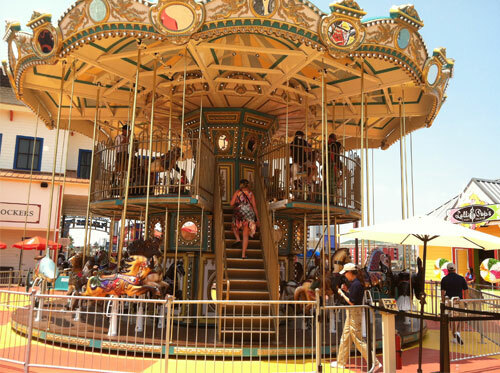 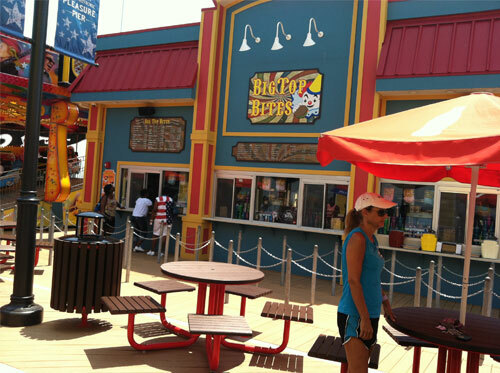 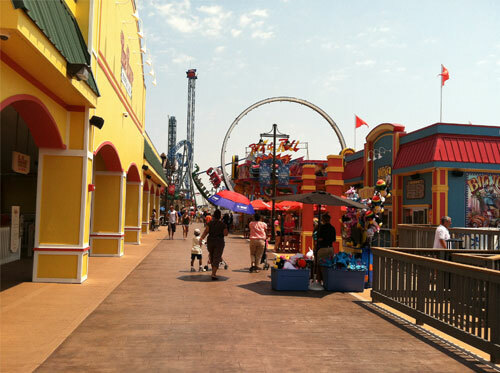 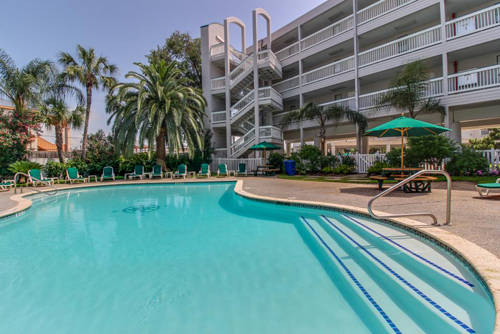 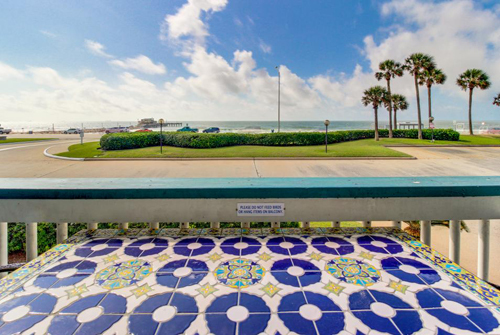 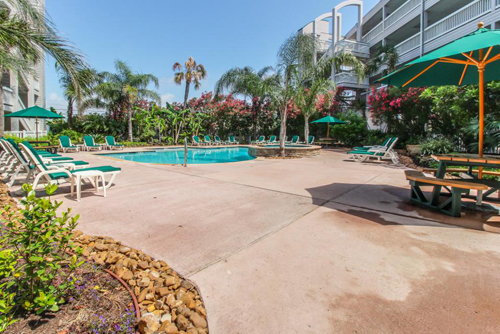 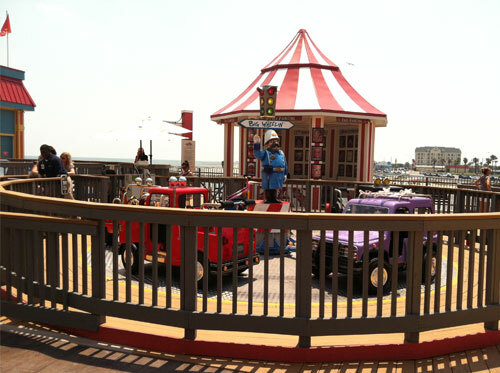 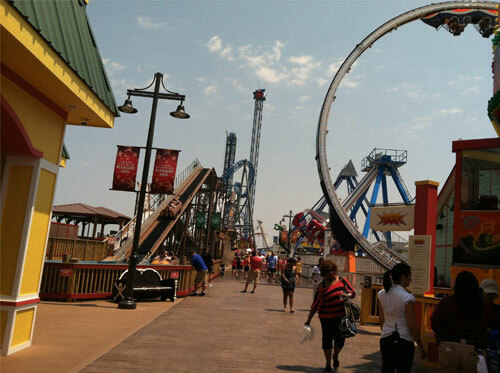 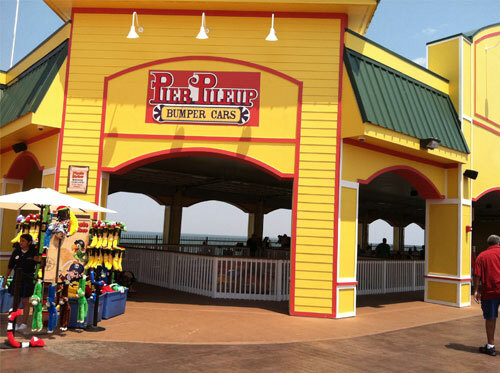 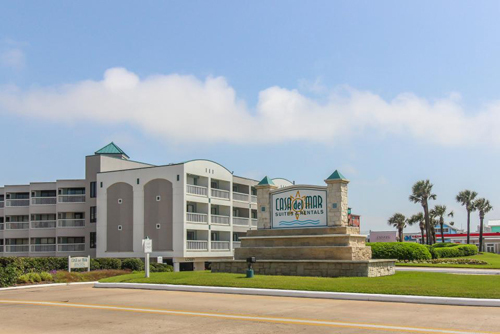 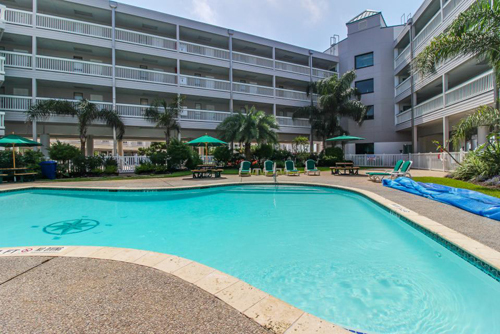 Just some of the attractions nearby are The Galveston Seawall, The Pleasure Pier, Moody Gardens, Rainforest River Adventure Ride, Bike Rentals & Colonial Paddleboat rentals and last but not least Schlitterbahn Water Park. 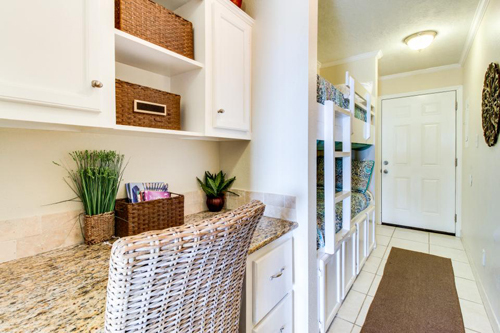 Grocery shopping can be done in a breeze with Wal-Mart, Randall’s and Kroger’s within walking distance. 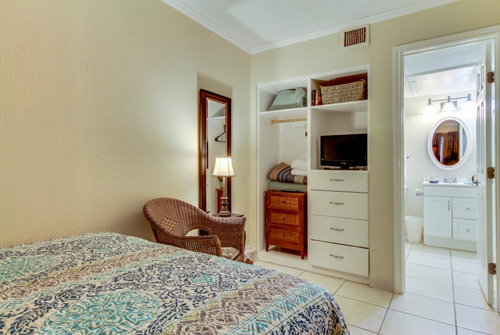 If shopping is your thing, we have something for you too, The Strand. 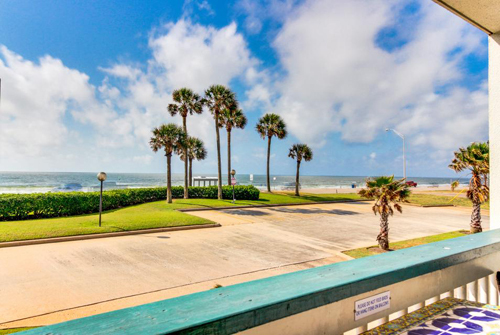 There you’ll find an array of quaint beach town shops and even more places to eat and drink. 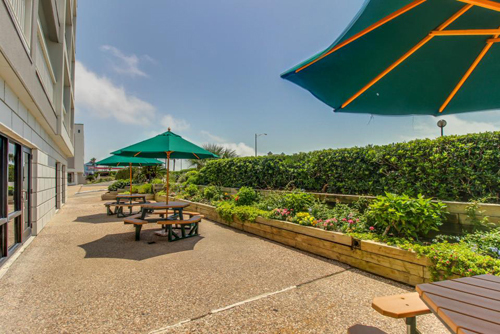 Come down to The Strand for an evening of live bands and great food.